Not everyone is born with great luscious lips. Nowadays semi-permanent makeup like eyebrow embroidery, eyeliner embroidery , lip embroidery has made it so easy to stay beautiful like a natural beauty without having to put on real makeup. So what if you have no makeup skills? You don’t need to anymore. Imagine just you just need to put on lip gloss to get that kissable and irresistible lips? This is what lip embroidery will do for you. sake but it helps to shape your lips to a more prefect shape to guide that lip stick or lip gloss application. So I am sure one of you concern is… ‘Is it that my lips are going to be just one colour ‘Forever’? I suggest you go for lighter tones like pink if you still want to play around with your lipsticks after. 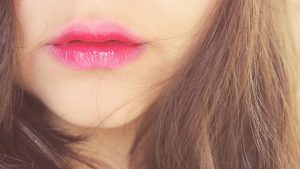 Anyway semi-permament lip embroidery color will last about 5 years depending on your lips texture..